The U.S. Department of Energy (DOE) announced up to $87.3 million in federal funding for cost-shared research and development (R&D) projects for advanced coal technologies and research. DOE Assistant Secretary for Fossil Energy Steven Winberg announced this R&D funding at the Annual Project Review Meeting for Crosscutting, Rare Earth Elements, Gasification, and Transformative Power Generation at the National Energy Technology Laboratory. In 2017, coal was the second-largest energy source for electricity generation in the United States. Advancing Steam Turbine Performance for Coal Boilers: This FOA seeks to improve the performance of steam-based power cycles, resulting in a lower cost of electricity with reduced emissions per megawatt-hour for coal-fueled boilers. 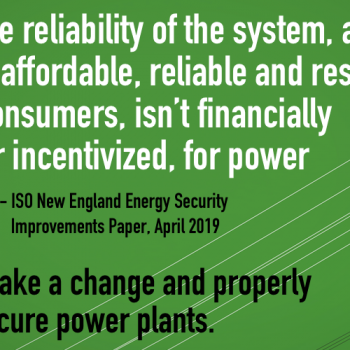 This FOA also includes an area of interest for conceptual engineering design for steam turbines in the 50–350 MW range in support of DOE’s Coal FIRST initiative. DOE’s Office of Fossil Energy’s (FE) Advanced Turbines Program will support these projects. Read more details about this FOA here. Transformational Sensing Systems for Monitoring the Deep Subsurface: This FOA seeks to reduce uncertainty and enable real-time decision making associated with subsurface carbon dioxide (CO2) storage. FE’s Carbon Storage Research Program will support these projects. Read more details about this FOA here. Crosscutting Research for Coal-Fueled Power Plants: This FOA aims to develop innovative technologies that will enhance the performance and economics of the existing and future coal fleet—thereby lowering electricity costs for consumers. FE’s Crosscutting Research Program will support these projects. Read more details about this FOA here. Advanced Materials for High-Efficiency, Flexible and Reliable Coal-Fueled Power Plants: This FOA will reduce the cost and enhance the cyclic durability of materials used in advanced ultrasupercritical power plants. These advanced materials are critical to increasing the efficiency and reliability of coal-fueled power plants. FE’s Advanced Materials Program will support these projects. Read more details about this FOA here. Process Scale-Up and Optimization/Efficiency Improvements for Rare Earth Elements (REE) and Critical Materials (CM) Recovery from Coal-Based Resources: This FOA will support cooperative agreements to advance the development of technologies for recovery REEs and CMs from domestic coal-based resources through both novel and conventional extraction, separation, and recovery processes. FE’s Feasibility of Recovering Rare Earth Elements Program will support these projects. Read more details about this FOA here. DOE’s National Energy Technology Laboratory (NETL) will manage all of the selected projects. More information about the National Energy Technology Laboratory is available HERE. To learn more about the programs within the Office of Fossil Energy, visit their website HERE.